Nice to meet you, my name is Thirsty. Give me a drink. Obviously Phase III will be exterior. 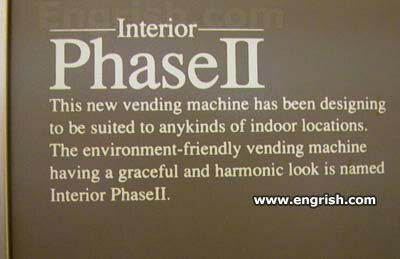 Phase I’s other name is HAL. Environment friendly vending machine? Is it powered by wind and made of grass?